Kerrin Hearfield: A Blog Award! 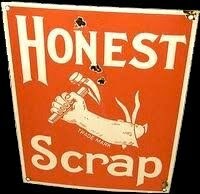 Honest Scrap! Huh, who knew? 1. I have a strong personality, but when it comes to conflict, i run! I hate it, i would rather write how i feel in a letter than argue face to face. It sure saves the arguments in our house, but it also means i'm always frustrated with the way things are done! 2. i never have enough time in the day to do all the things i want - so many craft things, cards, scrapbooks, sewing... i'm rather fond of doing crafts! 4. I have two beautiful, fiesty children who keep me on my toes! Check out my family blog! 6. I would really love a great big St Bernard dog, but my husband doesn't like dogs! I fear i will never have a dog :( We had a small shaggy bitser when i was a child, called scruffy and i loved him to bits! 8. I am lucky enough to stay at home and write two mornings a week while my kids are at kindy :) It is fantastic! I get my writing ideas from snippets of songs, random sentences spoken on the radio, dreams, a random thought in my head, and sometimes even a feeling! I was a diver too, many, many, moons ago. You seem driven and well organized, which is what it takes to get the writing done. I am rooting for you. My wife and I have never had a dog. We both work and are too busy. The pet would suffer neglect and it would not be fair. She has on occasion come close to pursuing an adoption of a child though. As the leader of our relationship, she is free to make any decision she feels appropriate. I am her follower in every respect and enjoy living in her servitude. Nicole - ah no i'm more like droll at Jacob, the others weren't that hot! SH, i admire your decision and dedication to your wife, Obviously you get out of if what you put in, I also really like your blog! Wow, thanks, Kerrin. I'm a list person too! I'm on vacation at the moment, but will come up with mine when I'm back!! Loved learning more about you! it sure does lacey, it sure does!! Glad i could help Jackie! Wow, awards are every where! There's another on mine up or grabs but it does have strict criteria atached!! I'm thrilled by it and who awarded it! Kerrin, now I have something for you at my blog! There's an HEA Award at my blog for you because you were one of the first to join up with me on blogger! 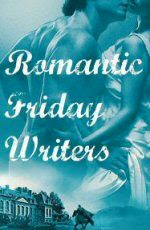 It's a simple "pass-to-one-other" romantic writer award and only one question to answer!